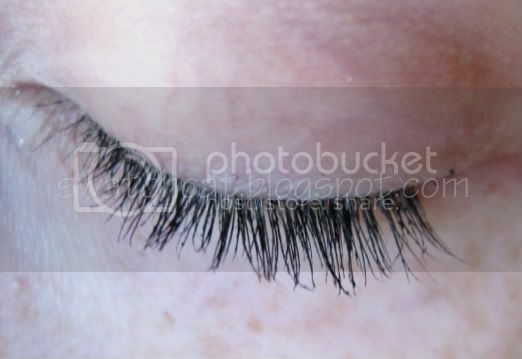 If I could, I'd steal my sister-in-law's lashes. Hers are perfect. Ultra-long and thick - the perfect frame for eyes. 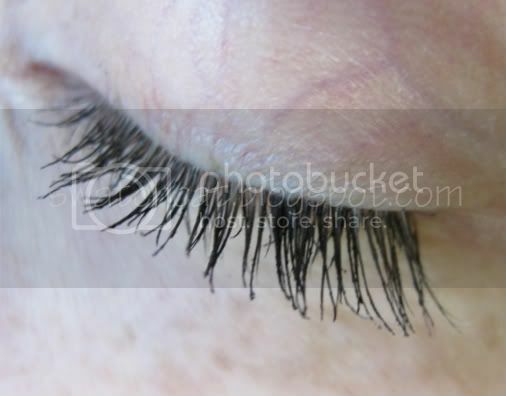 Unfortunately, I wasn't born with lush, long natural lashes, so I'm always on the lookout for a product that promises such...without breaking the bank. 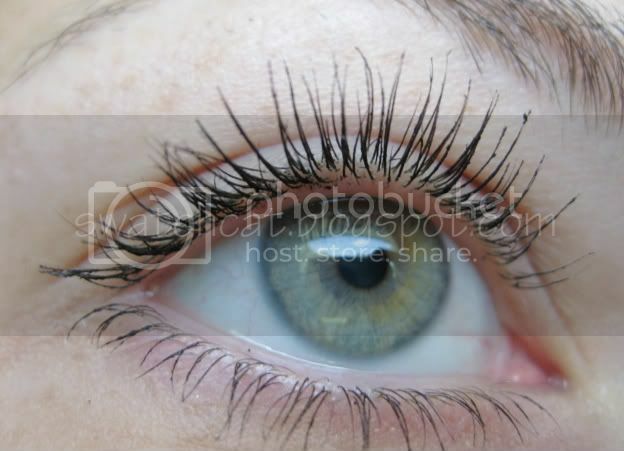 I've been asked what I think about Latisse, the prescription lash enhancer, and I refuse to go there. 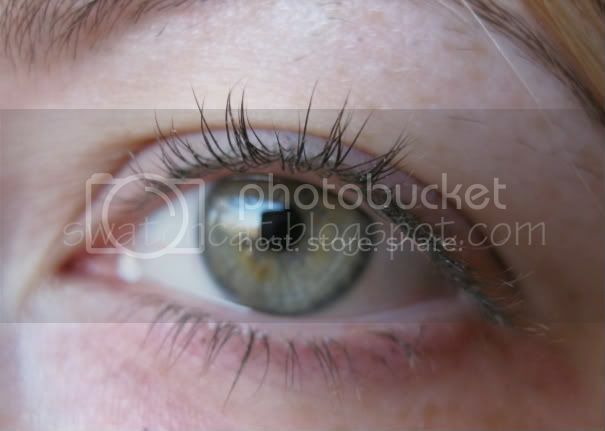 Not only is it expensive, but with the chance that it might darken my irises, it's just not worth the results. 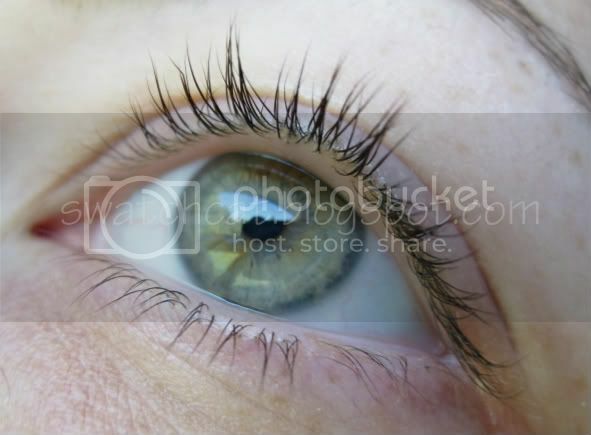 I love my hazely-green eyes! But, if I had dark eyes and wasn't price sensitive, I'd probably try it out. 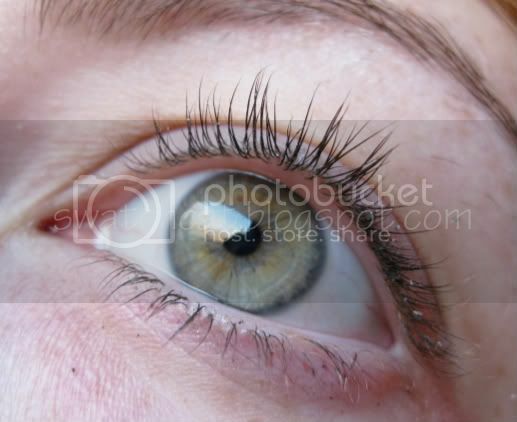 I purchased Dior Diorshow Maximizer Lash Plumping Serum a couple months ago, and put it through the ringer, so to speak. According to Dior, the Maximizer contains hydrolyzed soy proteins and lots of other scientificky-sounding stuff. After eight weeks of use, testers found the Maximizer increased lash volume by 52%, lash length by 38%, and lash curl by 73%. So, does it deliver? 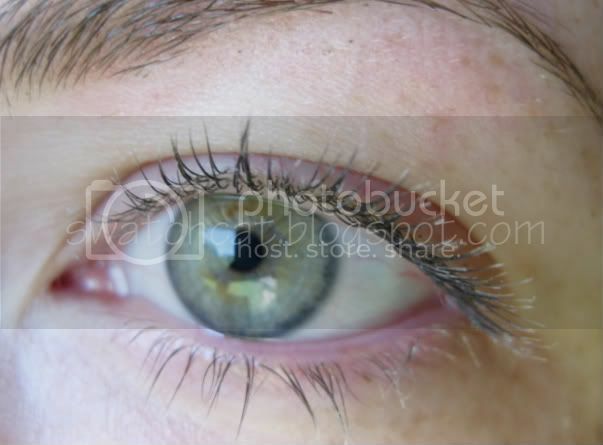 Well, I did notice some difference in my lashes, though I don't know how to quantify that difference. 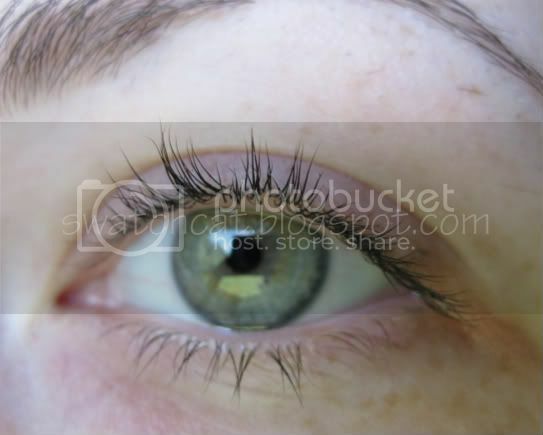 My lashes do appear a bit longer (though it is hard to tell in the pictures because my lash tips are blonde), and more voluminous. 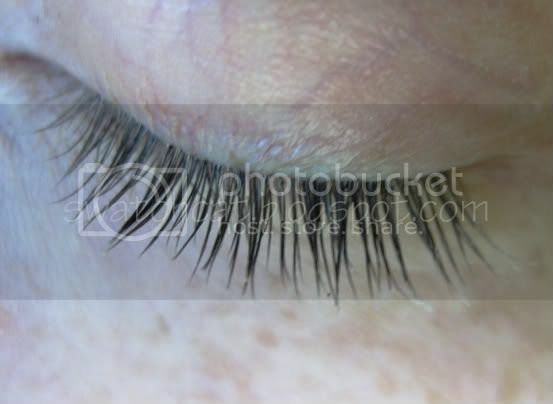 I wouldn't say the Maximizer caused my lashes to grow, rather it conditioned my lashes, allowing them to grow longer (without breaking) and have a longer life before falling out. 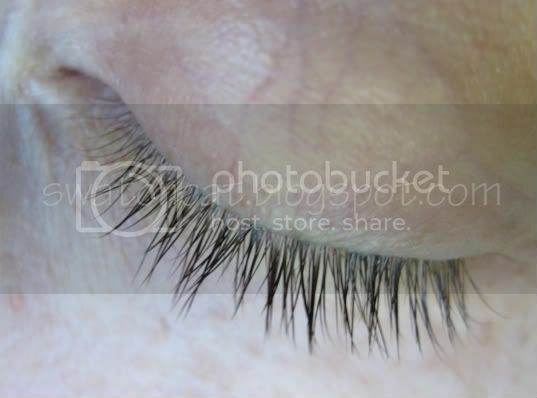 I also noticed those fine little baby lashes grew thicker and longer. Application is like that of a mascara. 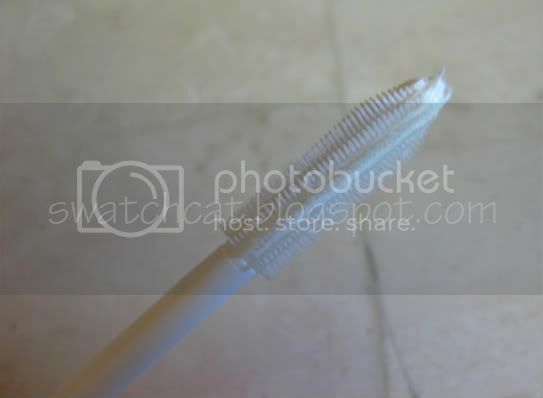 It has a spiky, silicone (I think) brush with a little nub at the end. The Maximizer is formulated for use under mascara, which gives you instant results, as well as on it's own as a nighttime treatment. 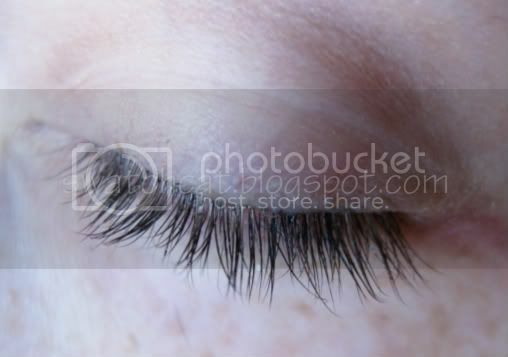 You can use the little nub to apply the serum to your eyelid right at the lash line to get the serum right down into the base of the lashes so it will work while you sleep. I'm puzzled by the use of the word "serum" because the stuff is a white cream. When I think serum, I think of a light, almost gel-like formula, not a thick cream. Personally, while the Maximizer did produce instant results when I wore it under mascara, it was a bit too much for me for daily wear. 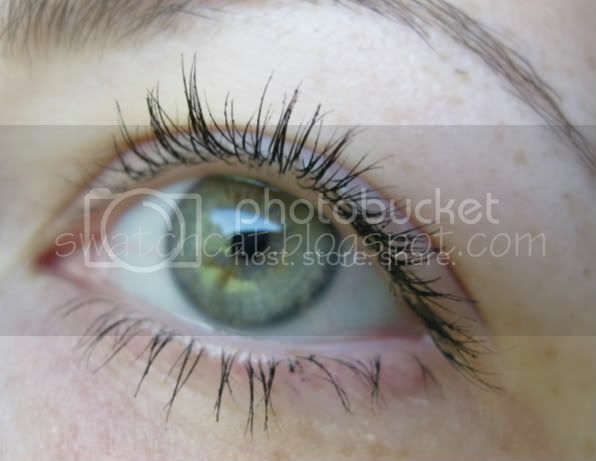 Furthermore, I found my mascara flaked off when I wore the serum underneath. After that, I limited my wear to nighttime and special occasions only. Being that I am a visual person, I like to see results, not just read about them, so I have a lot of pictures. More pictures after the jump - and I mean a lot more pictures! 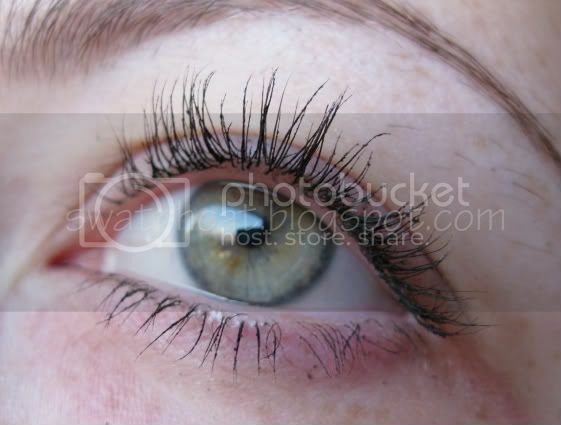 For what it is, the Maximizer did give my lashes a little bit more presence, but not overwhelmingly so. 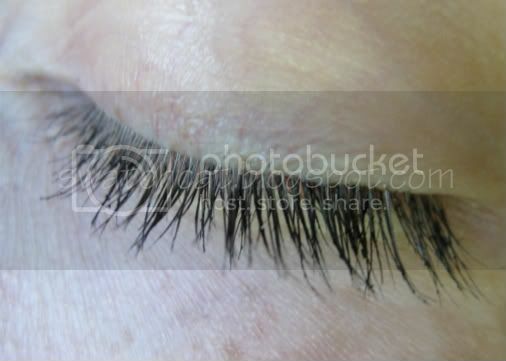 I would not expect Latisse results with it, but with the option to wear under your mascara, you will get instant, attention-getting lashes. 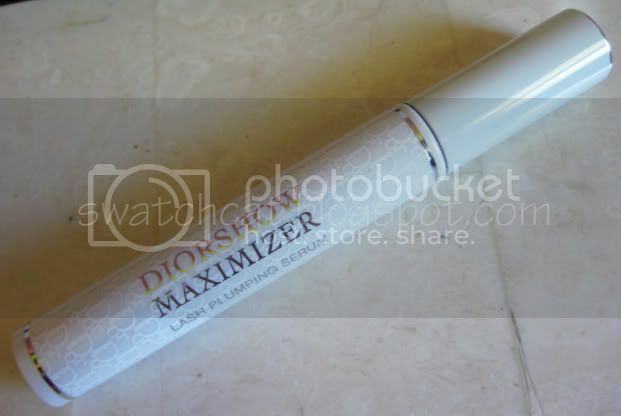 Overall, I give Dior Diorshow Maximizer Lash Plumping Serum 3.5 paws up. It does perform, but the flaking is a big minus for me. Plus, a full coat under the mascara is just too much for me, for the daytime, anyway. I did find that after wearing overnight, if I was careful washing my face in the morning to not rub off the remaining serum, I did have just about the right amount leftover on my lashes for a little extra oomph, without being too over-the-top. Ultimately, though, I'm on to looking for the next best lash maximizer because the Diorshow Maximizer just isn't for me. If you'd like to try it out for yourself, the Dior Diorshow Maximizer Lash Plumping Serum is available at Sephora or on Dior.com, and it retails for a rather reasonable $28. I was trying the Diorshow serum since October and like you I was not really wowed. For me I see no difference at all, except that they seem to be more healthy, more moisturized if that makes sense. During my test I was using it with the Chanel Inimitable Intense and did not see a huge difference. Since Christmas I am using it with Dior Blackout mascara and now we are talking. Maybe it's a bit depending on what you are using it with? 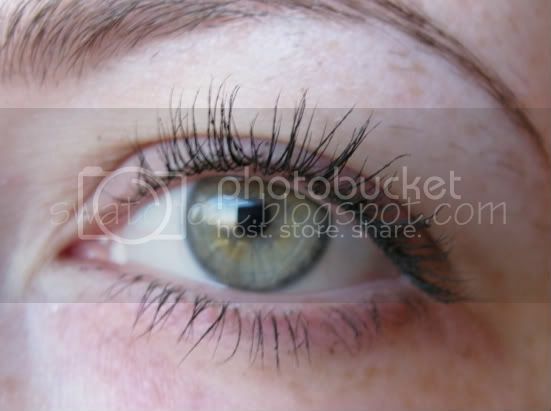 It gives me healthy lashes and that is not really bad at all. It's most definitely not my favorite primer/plumper, so I'm going to continue searching for one. The Shiseido one was better when you are looking for volume, but I think they reformulated it and I have not tested the new one. Might be worth a try though. And some claim that MACs lash primer is actually decent.